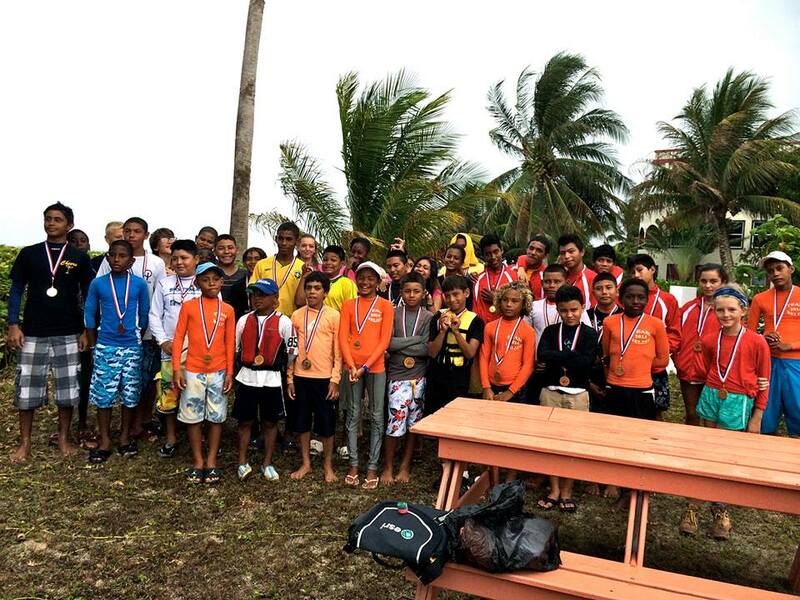 San Pedro Junior Sailing Club’s (SPJSC) Jerdon Anderson took the top prize at the 5th Annual St. George’s Caye Battle Regatta held on Saturday, August 30th. The regatta was originally scheduled as a two day event, but was cut short due to inclement weather. Nevertheless, the regatta saw 47 sailors competing in the optimist class, with Anderson taking first place. The regatta saw the sailors from Belize City Sailing Club (BCSC), Belize Sea Scouts (BSS), Caye Caulker Sailing Club (CCSC), Corozal Bay Sailing Club (CBSC), Placencia Sailing Club (PSC), San Pedro Racers (SPR) and SPJSC. The regatta was divided into two fleets, the open fleet for advanced sailors and the green fleet for beginners. The open fleet competed in five races while the green fleet competed in four, the lowest score for each racer was dropped. At the end of the regatta, it was Anderson who took the top prize with a score of five points after sailing excellently in the open fleet. Second place went to Antonia Ricardez of BCSC with 12 points, while SPR’s Kevin Vasquez took third place with 14 points. Open fleet participants for SPJSC included: Blanca Vasquez in 4th, Christian Trejo in 9th, Faith Noel in 11th and Katryn Salinas in 13th. Open fleet participants for SPR included: Jorge Olivarez in 8th, Sarah White in 10th, Mitchell Sersland in 12th, Chris Lopez in 16th, Samantha Vasquez in 21st and Caroline Sersland in 22nd. Rankings were not chosen for the green fleet, but all participants received recognition medals. SPJSC participants in the green fleet included Rashawn Gonzlez, Angel Navidad and Gabbi Knox. Organizers would like to thank the National Institute for Culture and History, Teichroeb & Sons, Kubuli, Print Belize, Ragga Empress, Belize Coast Guard, Joe Fuzy and the St. George’s Caye Village Council for their assistance.